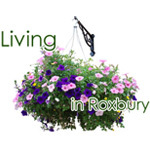 A special meeting of the Roxbury Historic Preservation Commission was held June 9, 2018 at 10:02 a.m. at the Roxbury Town Hall. Present Michael Mathis – Chairman Commission Members Margret Ellsworth and Lewis Wendell. Also present Carolynn Faraci, Commission Clerk. Also present was Martin Lerner and Fred Margulies. due to lack of a quorum of members. A meeting of the Roxbury Historic Preservation Commission was held January 21, 2017 at 10:05 a.m. at the Roxbury Town Hall. Present Michael Mathis – Chairman Commission Members Lewis Wendell and Doug McLaurine. Also present Carolynn Faraci, Commission Clerk.